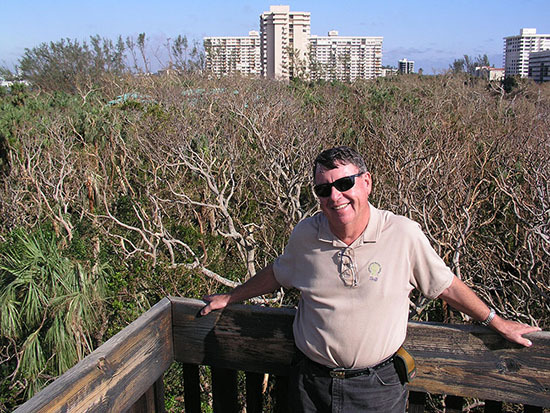 Gumbo Limbo Nature Center celebrates the life of former manager, Steve Bass. Steve shared his love of nature with the staff, volunteers, and visitors for 13 years reaching thousands of people of all ages. He was an engaging educator and loved telling stories to captivate his audience whether he was instructing a class, leading a field trip, or talking with visitors. He began every morning with a walk on the boardwalk through the hammock connecting with nature. He worked closely with the City of Boca Raton’s Environmental Advisory Board and managed the City’s natural areas. Steve's passion for nature and environmental education is forever engrained in the Center.